Pavlo Beznosiuk has established a formidable reputation as one of Europe’s most respected baroque violinists, with a busy international career as a soloist, chamber musician, concertmaster and director. 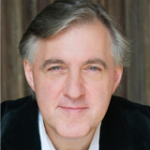 He has had a long association as soloist and director of the Academy of Ancient Music, and is currently their leader. Pavlo’s extensive recording output is central to his reputation as one of the field’s finest and most versatile players. Pavlo teaches baroque violin at the Guildhall School of Music & Drama and at the Royal Academy of Music.